It’s DA for your fine selves. The general consensus seemed to rate this as reasonably easy, but I gotta say I found it quite tough. Didn’t get much more than halfway through before referring to the solutions. A fun one, and liable to annoy the occasional Ximenean who wanders in here by accident. This was A PB for me. 45minutes tops. Had fun but yes it will be annoying. Got the theme clue very late. Get you to the Pool Room. It took me past the hour mark to get 9D and 20A. Worth it, though. Where is the Pool Room Rupert? Got it all out, and in record time, I believe. Very neat. I enjoyed this one a lot. Probably because it was a bit easier than usual; and only a couple of things to whinge about (which I shall do in due course)! Loved this one – and very achievable (after last week’s which left me cursing)! 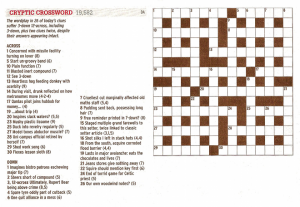 I was a bit put off by the wordplay intro with this one towards the end of my solving. There are four clues without the described wordplay but I took it to be just two, i.e. 26 suffering one PLUS two suffering twice, making 28. Should it be 24 PLUS two, or 26 INCLUDING two…..? @Jonathan: by my count (counting 3D and 12A as separate) there are 6 clues without the amended wordplay, 24 with a single instance of it, and 2 with two instances of it. Over in the spoilers thread someone has listed the 6 and the 2. I agree about the wordplay intro, Jonathan. It should have said “including” not “plus”. The preceding “including 3-down” muddied the waters a bit too. 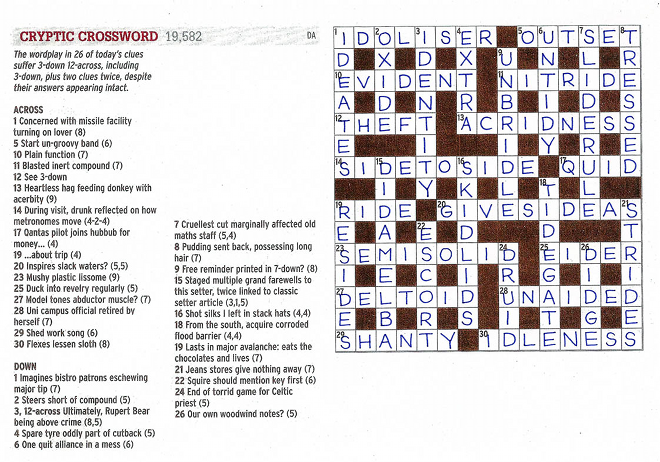 I think the intro should have read “…….26 of today’s clues suffer 3-down 12-across, including 3-down itself, and also including two clues twice………….”. DA, are you listening? This is the worst Ive ever gone. 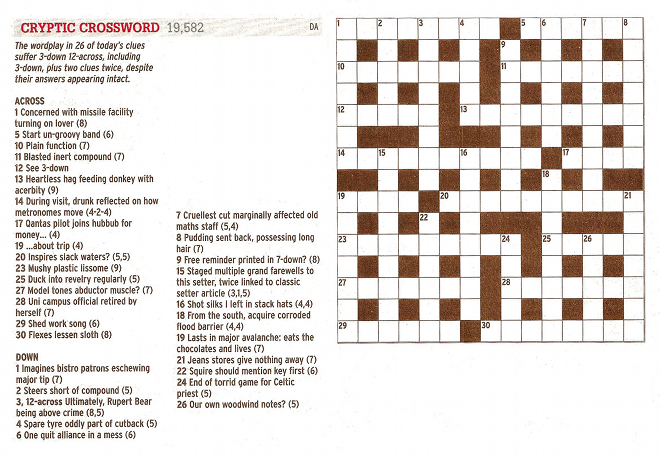 One answer written in and 2 others I ‘educatedly’ guessed but could not work out the wordplay for (without the theme).